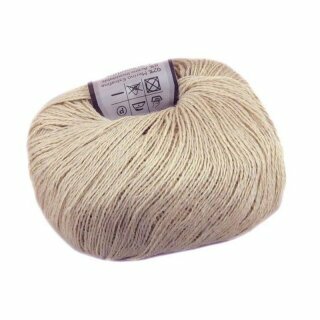 You get an incredibly soft heavy lace weight yarn hand dyed in elegant colours perfect for shawls and stoles. The yarn has a subtle shimmer and will keep you warm during cold days and chilly evenings. Pattern suggestions: This skein is more than enough for our Estonian Stole - Star Blossom (as seen on ravelry), and the colour would fit this pattern also very well ;-). We recommend hand washing with a special silk/wool washing agent. Slight bleeding may be possible.